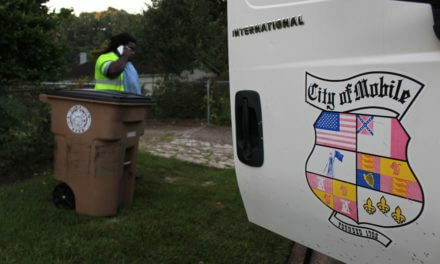 The Mobile City Council voted 6-1 Tuesday on a resolution that would help preserve Mobile’s black history. The resolution will not only support the creation of a civil rights park, but will also support the preservation and enhancement of Africatown and the Dora Franklin Finley African American Heritage Trail. Mayor Sandy Stimpson’s Chief of Staff Colby Cooper told councilors that the administration would work to get the city recognized as a National Heritage Area through the National Parks Service. The designation requires a vote of Congress, Cooper said, but would give the city an opportunity at $150,000 to $1 million dollars to maintain the heritage trail, Africatown and a civil rights park. The designation would also give the city access to National Park Service advisers. Cooper did stress, however, that it would not mean the area would become a national park. The designation would require that a feasibility study be conducted, Cooper said, as that’s the first step in the application process. Councilman Fred Richardson spoke in favor of the whole project, but especially, the civil rights park idea. Richardson went on to describe the lengths civil rights leaders went through in Mobile to affect change. He said the group avoided clashes with police by laying down and helped bring about change in the city through selective buying campaigns. Councilman Levon Manzie, who sponsored the resolution along with Richardson, said he was also in support of the ideas and it was time to honor history. “As a representative of Africatown, I’m proud of this,” Manzie said. Councilman John Williams was the lone dissenting vote on the issue. He said a civil rights park would be divisive and instead suggested the council and city focus its efforts on Africatown and the heritage trail. Williams said tourists should be able to start with a tour of Africatown and then be taken through the heritage trail, ending at Unity Point Park. “We can tell the whole story without conflict and without being divisive,” Williams said. Williams said he would pledge 10 percent of his discretionary funds to helping to make Africatown and the heritage trail a destination, if other councilors would follow suit. The resolution is more of a framework and doesn’t give a specific location or price for a future park. In other business, the council held over for two weeks an ordinance to regulate the distribution of handbills. City Council attorney Jim Rossler was asked by the Public Services Committee to rework some of the language of the bill with attorneys for the Press-Register, as to not ban the distribution of the newspaper’s circulars. Consensus proposals included making it easier to opt out of the service, Richardson said. Richardson, chairman of the committee, said he was against an all-out ban because people in poorer communities relied on the coupons and sales notifications inside the circulars. The committee also recommended that a provision to outlaw the placing of handbills on windshields on private property be taken out. 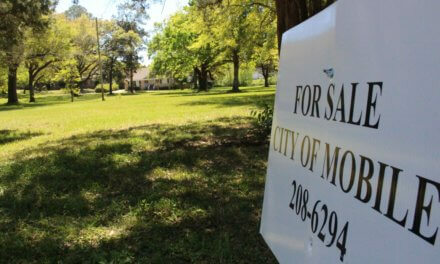 The council also approved the annexation of The Grounds into the city, by a unanimous vote. The Grounds President Mike Milford told councilors that approval would allow the 100-acre fairgrounds to better market itself for city events. The city would, in turn, be able to benefit from sales tax revenue generated from the Grounds’ 100 or so annual events, excluding the fair, which is exempt from sales tax by state law. The council approved a $491,806.68 contract with Sunset Contracting for a slew of drainage and inlet repairs citywide. During a pre-conference meeting Monday morning, Richardson threatened to lay over the decision for two weeks to find out the diversity of the Sunset Contracting workforce. Cooper told Richardson that not only had Sunset come in as the lowest bidder by $92,000, but that minorities made up 65 percent of the workforce. Richardson voted for the contract during the meeting, but said that he would like diversity information in the future for companies with contracts for city work worth more than $100,000. The council approved a $9,767.50 contract with Dorsey and Dorsey Engineering for the design of exterior lighting for the Arthur R. Outlaw Convention Center. The council also voted to rename Dickens Avenue, between Dr. Martin Luther King Jr. Avenue and St. Stephens Road, as Bishop G.W. Ayers Street. They also laid over an ordinance that would change how streets in the city are renamed. Among the amendments would be a requirement that 90 percent of the residents of any street proposed for renaming assent to it. Councilwoman Bess Rich announced a Public Safety Committee meeting on Tuesday, March 24 at 3 p.m. in the council conference room to discuss amendments to city fire and building codes. A public hearing on the changes was also scheduled for Tuesday, March 31. Councilman Joel Daves announced that the first Finance Committee meeting of the new year would be held on Tuesday, March 24 at 2 p.m.